Computer systems have millions of different files. Files of all kinds are required to make sure the system runs as it does, and many of them interact with each other as well. One of the required types of files is the .dll file. Files with the extension .dll, short for dynamic link library, are required on all Microsoft Windows operating systems. These files make up what they have created as a shared library of files. Another type of file within the library is .ocx files (libraries with ActiveX controls). Wikipedia has a detailed explanation of .dll files and how they function. How do .dll files work? In the most basic sense, the files are structured very similarly to .exe files, as both filetypes contain data, code, resources, and any other necessary information required for the proper function of the application it is associated with. As previously mentioned, these files are used in shared libraries, meaning data files that have the exact same file format can make up libraries themselves. For instance, icon libraries (.icl), and font libraries (.fon or .fot), are made up of only files of the same format. As with most files, .dll errors are largely caused by corrupted or missing files or data missing from required files. A number of sites exist that provide various .dll files for download (dll-files.com, dlldll.com, dllme.com, and many more). While some websites may provide clean versions of the file, it is always recommended to acquire the file from the creator of the application and/or to reinstall the software associated with the file. Install files from third-party websites at your own risk! While any computer error is frustrating, .dll errors have been known to be relatively difficult to troubleshoot and resolve. In some cases, simply replacing the file (as mentioned above) resolves the error. However, it may only be a temporary fix. To make sure your system is safe and secure, it is not suggested to fix an error using that method either. This is a short list of more common .dll files related to specific errors. Check out our complete list of .dll files for more information about other files or use the search feature to find a specific file. Figure out the application/program the file is associated with. If you are unable to open Microsoft Outlook, the .dll file is likely associated with that application. If you are unsure, do a little research on the specific file and figure out which application it is associated with. Backup everything you need from that application. If it is Outlook, make sure you save your emails, contacts, signatures, rules, and anything else you do not want to lose. Make sure you have the ability to re-install the application. If the software was installed when you purchased the system, you should be able to find it on a backup CD. 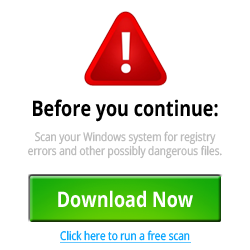 If you purchased the software as a standalone or it is a free application online, find the install file before proceeding. Uninstall the application that is causing problems. Make sure to uninstall any data. This is why a comprehensive backup is important. Import necessary application data that was backed up. NOTE: Perform system restarts as prompted throughout the process. Multiple reboots may be required during application uninstall/reinstall. Following those steps should fix your problem and effectively resolve your .dll errors. If not, the problem may be with the installation you are using or related to more than the specific file in question. If so, a complete system format and reinstall may be the easiest solution. Make sure to avoid untrusted applications, software, and websites – As mentioned earlier, a number of sites exist that provided downloads of .dll files. While the service may be useful and the files may be secure, the files themselves are not provided from the creator of the application. You can never be 100% sure the file is safe and secure unless you compare it side-by-side with the original file. Because of this, it is suggested to avoid download and installing programs or files from third-party sources. Make sure you have updated operating system files, service packs, and drivers – As new versions of software are released, outdated versions may become incompatible. A primary reason for new releases or new versions is to increase security or remove bugs that may have existed in previous versions. Keep your system as updated as possible for the best functionality. Be sure you have the proper system security in place to prevent errors. Make sure you have a system scanner running and frequently run malware checks – Without a system scanner running, your system may become infected or vulnerable and you would never know. Imagine how much of your personal information may be at risk if you have been unsecure for weeks or months at a time. Here’s a link for a good spyware scanner. Another program to check out is Malwarebytes. It is considered to be one of the best applications for removing malware, and should be used in addition to a virus scanner. Plus, it’s free. Follow these basic steps and observe how much more effective your system is and how many fewer errors you experience. Below are a couple of excerpts of .dll errors and information about them. Feel free to look through our complete .dll files archive for more information as well. Hey everyone, Allen here. I’ve been involved in tech support roles for more than 15 years and understand the pains and frustrations associated with broken computers. It’s my goal to provide you with the help and knowledge you need to get and keep your computer in working order. I love how detailed the information is here. They make it super easy to find stuff.